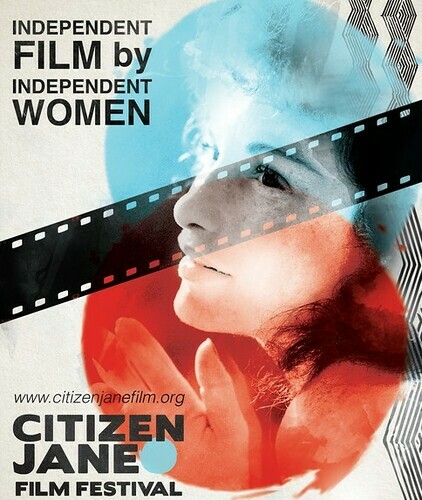 COLUMBIA, Mo 11/1/14 (Profile) --The Citizen Jane Film Festival returns to Columbia this month, so it seems apropos to name founder Kerri Yost and the team behind this groundbreaking display of movies made by women November's Artists of the Month. It's also fitting that this month's artists are a team: film is perhaps the most collaborative art of all, with dozens if not hundreds of people involved in every frame of the celluloid craft. The Citizen Jane collaboration includes Polina Malikin, well-known for her work with the True/False Film Fest; and Paula Elias, Citizen Jane's executive director. An associate professor of film studies at Stephens College, Yost started a pre-cursor to the festival -- The Citizen Jane (CJ) Lecture Series -- in 2006 with Ken LaZebnik, then Dean of Stephens College Performing Arts Dept. ; and Jessica Gonzales, a Stephens student. "They used the CJ Lecture Series to bring female industry professionals to Stephens with the idea that ‘if you can’t see it, you can’t be it,'" Elias told the Heart Beat. "The festival grew out of the CJ Lecture Series." After Yost hired Malikin to teach at Stephens in 2008, "Polina reached out to help with the festival," Elias says. "Kerri asked me to to help market the festival and then the next year, I came on as co-director. The three of us worked together to head the festival the second year; Kerri and I co-directed it until 2013, when she became the Director of Programming and I took on the Executive Director role." A filmmaker whose work emphasizes social issues, Yost studied her craft in London and co-founded a production company in Poland. Here at home, she produces Midwest-themed documentaries that have won numerous awards while appearing on PBS, Discovery Channel, and television stations worldwide. Yost wrote and directed a film -- Leaving Osage Lane -- she and her students worked on this summer. Born in Russia but raised in New York City, Malikin relocated to Columbia to teach digital photography and various cinematic courses at Stephens. An accomplished filmmaker herself, Malikin focuses her lens, like Yost, on social issues. Beyond the Spin looked at Presidential politics through the eyes of Gen X-ers and Millenials, for instance. A graduate of Brown University who received that school's prestigious Royce Fellowship, Malikin knows the moviemaking life first hand. far surpassed its Kickstarter goal three years ago. Malikin has worked in experimental film for years, telling the Columbia Daily Tribune the genre is "an opportunity to think about film as fine art, and not just as entertainment." Elias' father was an MU professor and she's an alum of Columbia Catholic School, Jefferson Junior High, and Hickman. She moved to New Mexico in her twenties, but moved back to Columbia to raise her family. Professionally, she's been creative director for Premier Marketing, the predecessor to the local Cumulus brand of radio stations (KFRU, KBXR, etc.) and run her own shop, Axiom Communications. She and husband Ken Leija made a film called "Eco Schoolhouse" that received lots of attention in Columbia, for its portrayal of the first ever environmentally friendly schoolhouse at Grant Elementary. And in a nod to her own political idealism, Elias ran for Missouri Secretary of State on the Green Party Ticket. Like political campaigns, film festivals are team efforts, as Elias is quick to acknowledge. "Citizen Jane is about collaboration and community," she explains. "It is about Stephens students, staff and members of the community working together to challenge the underrepresentation of women behind and in front of the camera. We try to focus on building something that will change the status quo and help create a space for women’s voices." As our Artists of the Month, Yost, Malikin, and Elias join choral musicians Jazz Rucker and Emily Edginton-Andrews; actor-directors Emily Adams and Elizabeth Braaten Palmieri; painters Marilyn Cummins, Rodney Burlingame, Byron Smith, Kate Gray, and Catherine Parke; actor-director Ed Hanson; mixed media artists Jenny McGee and Lizzie Bryan; photographer Anastasia Pottinger; Missouri Symphony maestro Kirk Trevor; and painter/Artlandish gallery owner Lisa Bartlett.